IGIF is Back with Another Installment of Floating Fest. 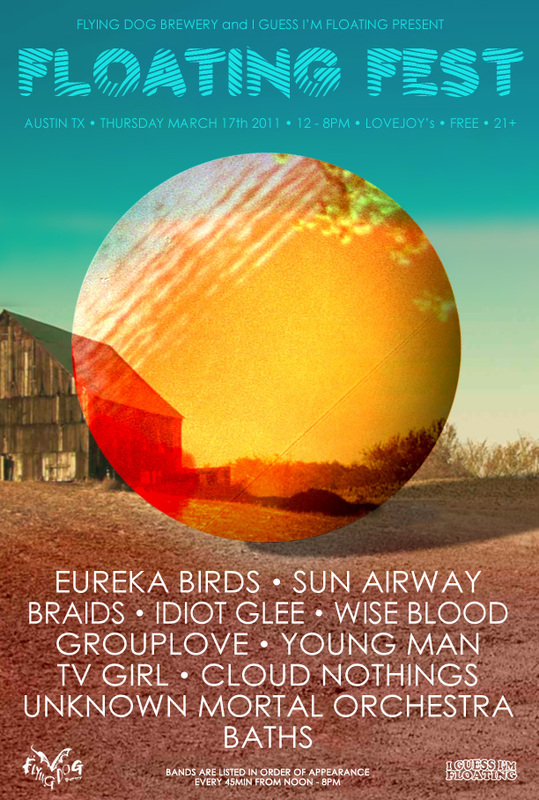 In honor of SXSW, IGIF will be putting on their second annual Floating Fest. The event will take place on March 17th in downtown Austin at Lovejoy’s and will be sponsored by Flying Dog Brewery. The show free for all folks 21 and over and will last from 12:00pm-8:00pm.